General view of 1967 granary block from West. Digital image of B 3850 CN. 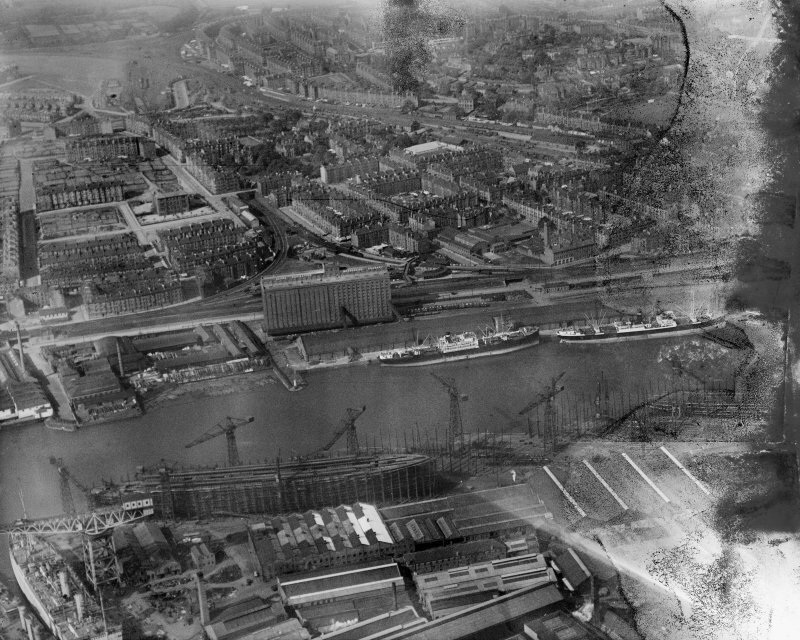 Glasgow, general view, showing Meadowside Granary and Upper Clyde Shipbuilding Yard. Oblique aerial photograph taken facing north. This image has been produced from a damaged negative. Glasgow, general view, showing Meadowside Granary and West of Scotland Cricket Club. Oblique aerial photograph taken facing north-east. This image has been produced from a damaged negative. Clyde Navigation Building Govan, Lanarkshire, Scotland. Oblique aerial photograph taken facing North/East. 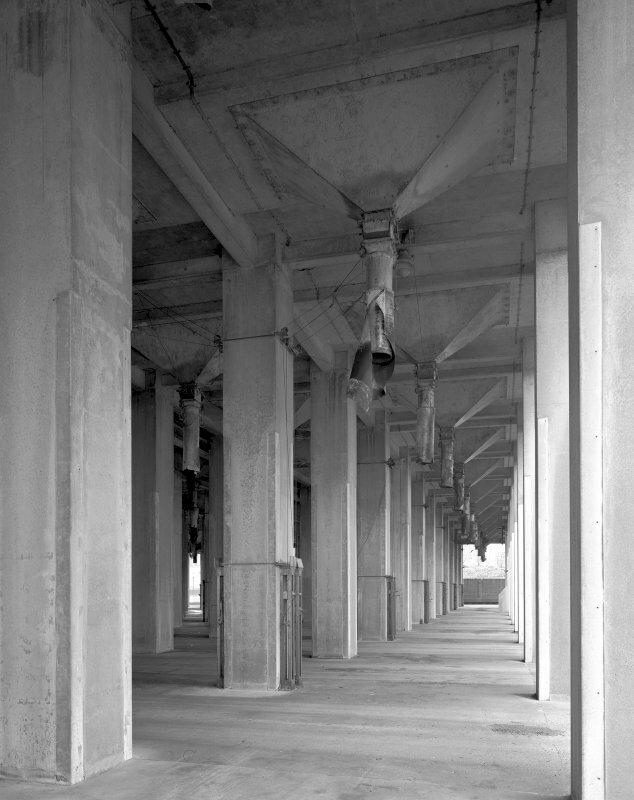 View of dispatch spouts beneath silos of 1960 granary block. Digital image of B 3864. Meadowside Granary, Castlebank St. The first part of this very large granary was built 1911-13 for the Clyde Navigation Trust, William Alston engineer (£130,000). The capacity of the first part is 31,000 tons, and it is 13 storeys high, 6 by 13 bays. The adjacent quay was built under an Act of 1907. Along Castlebank Steet, there loom the Maedowside Granaries,, Partick's most dramatic structure by far, but which, sadly, closed in 1988. 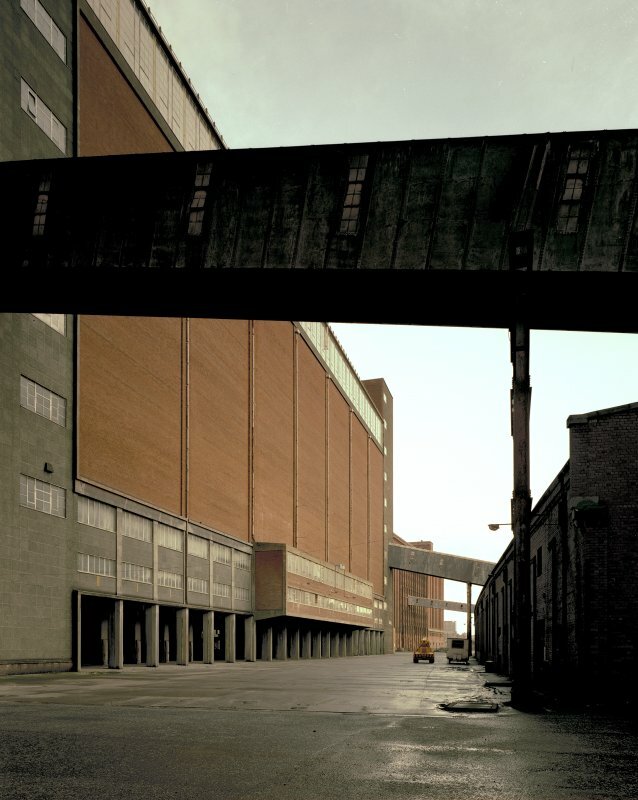 The first granary (of 13 bays and 13 storeys) was built in brick for the Clyde Navigation Trust in 1911-13 by the engineer William Alston. Extended E and W in 1936-7, creating a colossal 34-bay, 13-torey building. 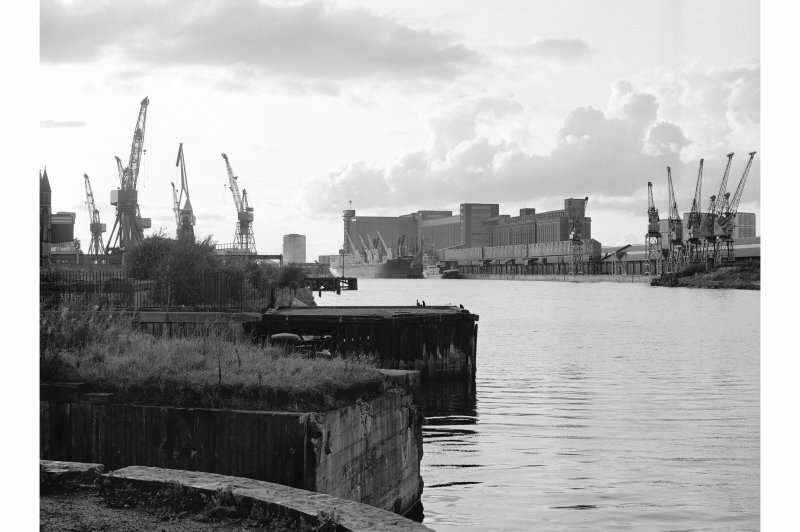 In 1960 and 1967 two more granaries were built to the W for what was then the Clyde Port Authority. This bulding has been demolished. Information from RCAHMS (MKO), 14 December 2005. Archaeological desk based study carried out on Glasgow Harbour by FIRAT Archaeological Services. 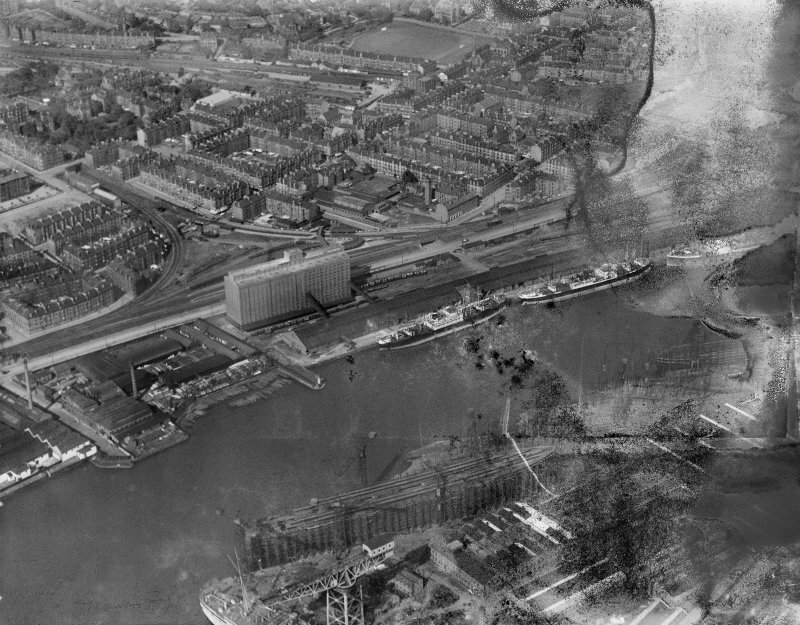 The Meadowside Granary was located on the north bank of the River Clyde, behind the goods shed that ran along the front edge of Meadowside Quay (NS56NW 157). Built in 1913-14 by engineer William Alston for the Clyde Navigation Trust, it was the most important grain store in the country during WWI. 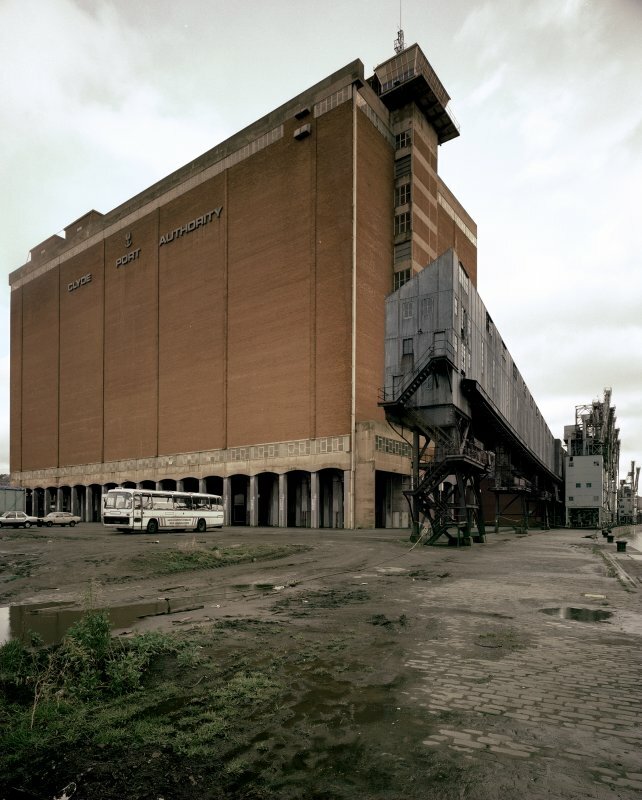 It was brick-faced, 13-storeys high and 6- by 13-bays with a capacity of 31,000 tons. Originally grain was lifted from ships by bucket elevators, but in 1922 a pneumatic suction elevator was installed to clear grain from the bottom of ships holds (Riddell 1979, 270). 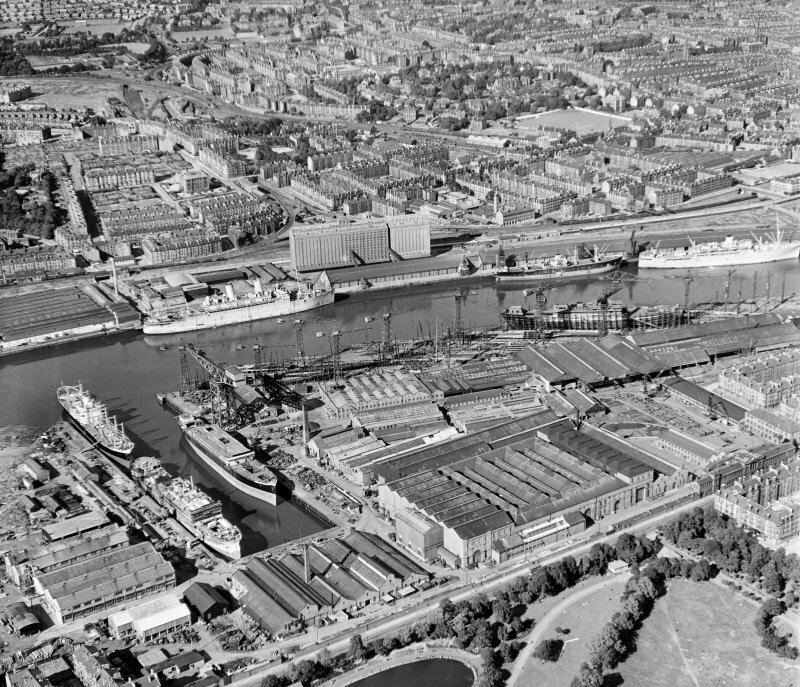 The granary was extended east and west between 1936 and 1937, creating a 34-bay, 13-storey building and adding a further 15,000 tons in capacity. 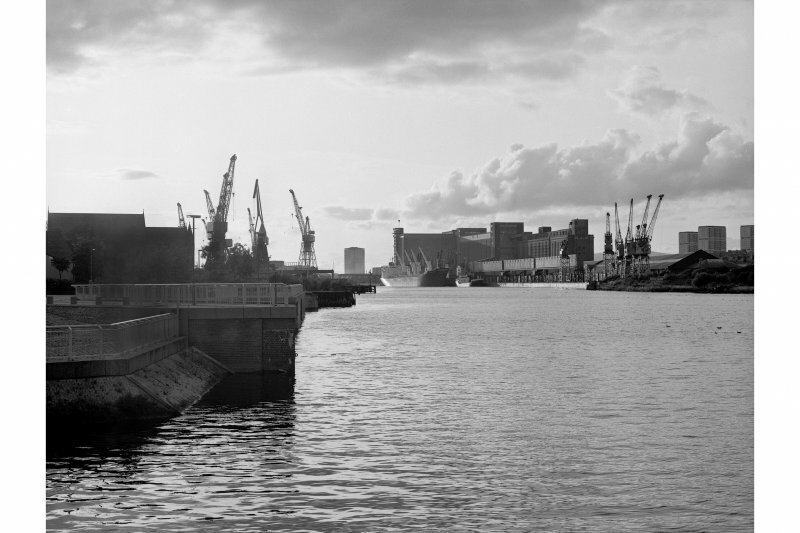 Further extensions westwards were added in 1960 and 1967 for what was (after 1965) the Clyde Port Authority. 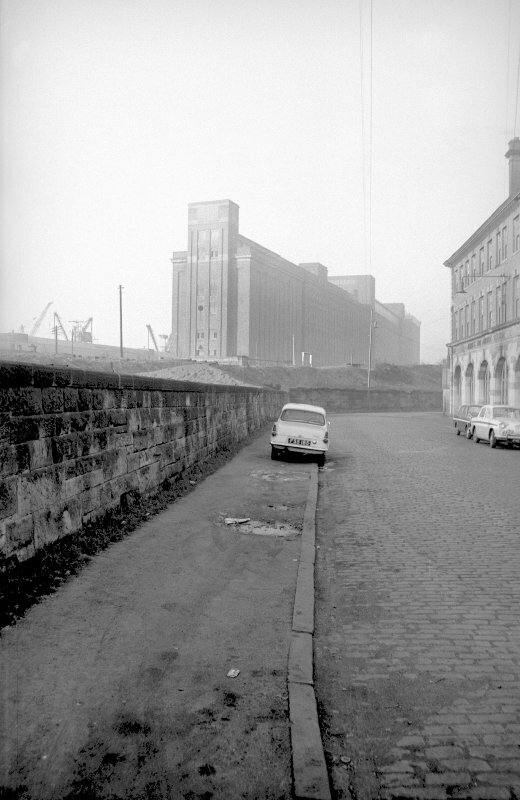 The granaries closed in 1988 and were demolished in 2002-3 as part of the redevelopment of Glasgow Harbour, and a housing and retail development. Information from HES Survey and Recording (AMcC) 14 July 2017.